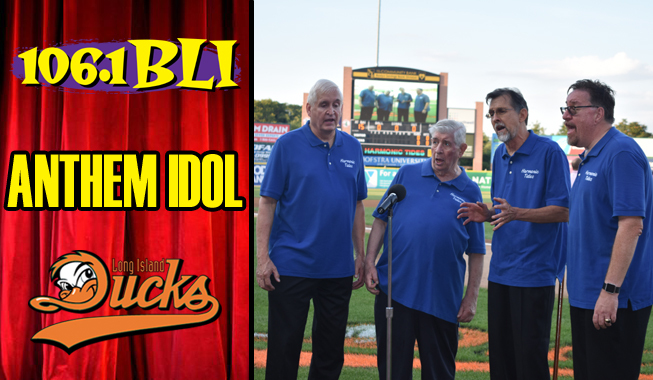 (Central Islip, N.Y., March 25, 2019) – The Long Island Ducks and 106.1-FM WBLI today announced that the annual “Anthem Idol” competition will take place at Bethpage Ballpark on Saturday, April 6th. Registration will take place promptly at 9:30 a.m. on April 6th, with auditions to follow shortly thereafter. In order to speed up the registration process, contestants are encouraged to fill out the Anthem Idol application form, which can be printed by CLICKING HERE. Those attending should bring their completed forms with them to the ballpark on April 6th. Forms WILL NOT be accepted prior to the event.